A review of the Osprey Talon 33 Backpack is the first post and product review for this site. This purchase and this site were all born out of a last minute, practically unplanned September 9, 2018 hike of the Franconia Ridge Loop in New Hampshire. That hike though is a story for another post. To date my experience with backpacks mostly has been using ones designed for carrying photography gear as the primary function and hiking, trekking and backpacking gear was secondary. My other experience with more traditional backpacks has been borrowing from friends which has been less than ideal because that’s more about using what’s available versus the right pack for the job. This hike though required a proper backpack for the challenge at hand, enter the Osprey Talon 33L. My backpack needs for the Franconia Ridge Hike were pretty simple. The backpack needed to hold one long days worth of gear but that single day could include weather extremes. 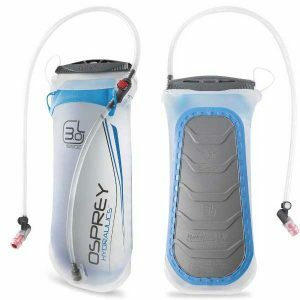 I wanted a hydration pack built in. The pack needed to hold a change of clothes, first aid supplies, food, lighting, rain gear, two, one liter bottles of water and my camera gear which consisted of Nikon D810, 35mm lens, Manfrotto BeFree tripod and an extra battery. My research started on the internet but also included multiple visits to REI, Cabelas and LL Bean stores which are all local to me. In the end though the choice was pretty easy. 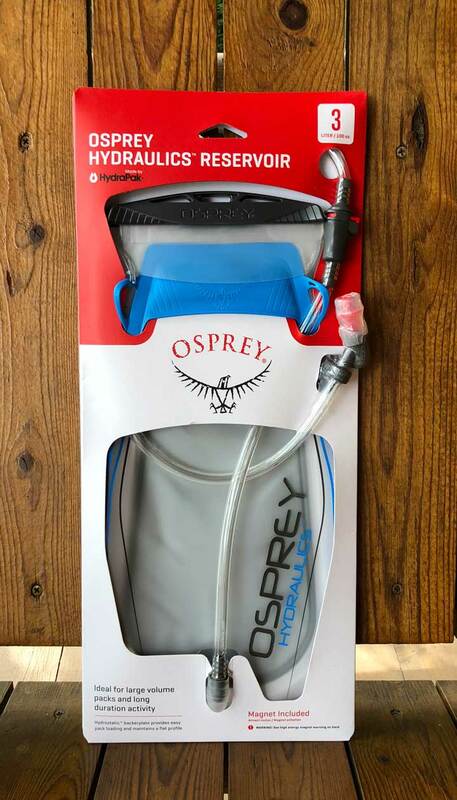 The Osprey Talon 33L. The Talon 33 had ample storage, a 3 liter hydration back, enough pockets to separate the smaller essentials like food, first aid, tools, extra water bottles, dirty clothes. The Talon also had a quick way to store my trekking poles at my side under my arm. The Talon backpack was also very adjustable to so it was easy to fit my 6 foot 210 pound body comfortably. The pack seemed great on paper, on the internet and in local stores. The pack retailed for $149 but I snagged it on sale and with a coupon for an unbeatable $105 delivered! Initially I tested the backpack on some local hikes to get it adjusted properly and to look for any physical annoyances that could become a painful issue on a big hike. 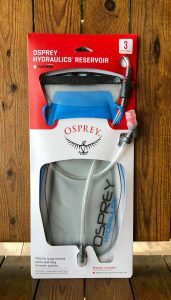 Other than tweaking the adjustments to fit my middle aged body I was 100% satisfied the Osprey Talon would work for my trip to Franconia Notch. The Franconia Ridge Loop Trail turned out to be an excellent hike to test the Talon. Here is how I packed the Talon from top to bottom. I’m going to be honest I intentionally and regrettably over packed quite a bit. Because I was hiking with Erin and her dog Willow I carried enough extra food, water and safety supplies where if something should go wrong we could take an extra day if need be. Ill guess the pack weight at about 25 pounds. The Nikon D810 camera, Nikon lens, Manfrotto tripod added an additional 8 pounds on their own. This all added up to a great test for this Osprey backpack. The initial ascent was pretty steep and it took me a couple hours to get over 4000 feet and above the tree line. I could not have been happier with the pack. There was zero discomfort and I never felt the pack interfering with my center of gravity or worse, pulling me off balance backwards. So far so good. Once on top it was a matter of climbing up and down the peaks for a few miles. I did feel the weight of the over packed backpack though. The pack was handling the weight just fine, me not so much. i was close to getting a cramp in one leg so that had me drinking more water and reaching for my “Runners legs” supplements pretty regularly for the remainder of the trip. That was when I found my first annoyance albeit a small one with the pack. I found it difficult to use the front zipper pockets on the waist harness. No big deal as I struggled with the zipper I simply asked Erin to help. Going forward I moved the capsules to the zippered pocket of my Northface Men’s Tech Glacier 1/4 Zip shirt. In fairness to the pack I have some birth defects relating to my fingers and part of my spine fused with a 6″ stainless steel rod. As a result I’m not the most flexible person. The descent was so difficult I forgot about the weight of the pack which by now had changed a bit. I had changed a few layers and placed them in the external rear compartment, I began using my Black Diamond Alpine Carbon Cork Trekking Poles and lastly quite a bit of my water was depleted from the reservoir. The couple mile my ascent down I had zero complaints about the pack and in fact I had made a mental note thinking just how happy I was with it and believed I had made the right choice. When I finally arrived back at Erin’s Jeep and removed the pack I was surprised at how heavy it actually still felt because i never really did feel the weight on my back at all. Summing it up the Osprey Talon was the perfect pack for me. My gripes are minor. The front pockets were a bit of a struggle for me. Towards the last mile of the ascent I had emptied the hydraulics reservoir and had to use one of the Magiclocci 750ml / 26 floz Collapsible Water Bottles. I found it difficult to reach, but I managed. I wish the pack had a few more compartments to segregate items but hey that’s what dry bags are for. To sum up my feelings I would recommend the Talon 33L Backpack to a friend. 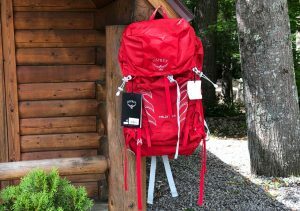 Simpler is often better, and if you prefer going light and moving fast in the woods, mountains and beyond, the Talon 33 is the pack for you. 33L of capacity is perfect for committing day hikes and lightweight overnight trips. Ventilated and comfortable, the BioStretch™ harness and continuous wrap hip belt combine to create an incredibly stable carry system that hugs your body so you can stay balanced on the trail, ridge or peak. We scratched our heads and updated our AirScape™ back panel to use less material and glue while making it more breathable to keep you cool on hot days. When uphills turn technical, our Stow-on-the-Go™ trekking pole carry system keeps your hands free for upward movement. Zippered hip belts, side stretch mesh pockets with dual access, a harness pocket, and top-lid storage provide all the organization you need. Users can’t feel seams that don’t exist, so we left them out. Our updated Talon/Tempest hipbelt makes it easier to focus on the journey instead of the pack on your back. Weight – M/L: 2 lbs. 0.3 oz., S/M: 1 lb. 14.4 oz. Hydrostatic™ Backer plate – Hydrostatic™ backer plate provides structure to shove a full reservoir into a fully loaded pack and maintains a flat profile. 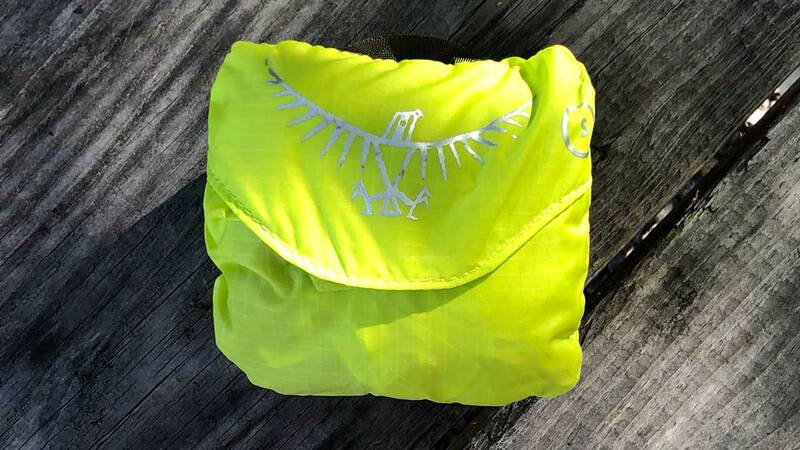 Osprey’s High Visibility Rain Cover protects your gear from rain, snow, and sleet. Reflective graphics and a blinker light attachment point to provide extra visibility in low light situations make this cover ideal for urban bike commuters. Extra small fits 10 – 20 liter packs. Small fits 20 – 35 liter packs. The Osprey Talon 33L Backpack is a well made lightweight, ventilated daypack easily extendable to overnite hikes. It features plenty of storage inside and out and can be fitted with an internal 3 liter hydraulic reservoir. The pack is extremely cmfortable and handles rated loads with ease. My only complainants are nitpicks and personal preference. 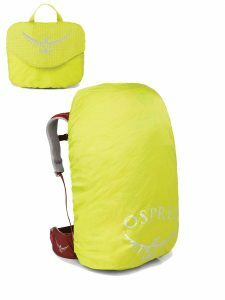 I completely recommend the Osprey Talon 33 for anyone needing a pack that’s great for day hikes and maybe overnite for 3 seasons.